A professional football league is planning to launch in Spring 2016, and it could have a team playing in Oregon. “It’s certainly a state that Major League Football would consider for one of it’s inaugural franchises,” said Nick Athan, Media Relations Consultant for MLFB. 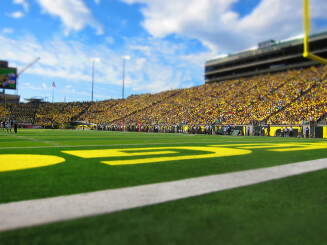 Game day at Autzen Stadium. Although the league has big plans (you can check out its website here), it is keeping tight lipped regarding the number and location of its franchises. Athan says the league is a publicly traded company, and did not want to make any announcements until everything is official. Although, it has already been reported that the league is targeting Little Rock, AR, Norfolk, VA, Orlando, FL, and Oklahoma City, OK, for franchises. Headlines on its Yahoo! Finance page also say the league is targeting four warm climate areas to locate its headquarters and training facilities: Casa Grande, AZ, Sarasota, FL, San Antonio, TX, and Orlando. “It’s an area of interest,” Athan said about Oregon, explaining that the league is exploring emerging markets in non-NFL cities where professional football in the Spring can be a success. He says the teams will play in stadiums currently used by college or various professional sports teams, and will feature players with a high talent level. “Guys that maybe didn’t make it in the NFL, didn’t get drafted or undrafted free agents that never got their shot to play professional football. Simply they just want another chance. That means guys who maybe were injured in college or the NFL, perhaps they had to leave college early for personal matters, those are just a few examples of the kind of players we hope to attract at Major League Football,” Athan said. There are more than 30 former Oregon players currently vying for roster spots on NFL teams. That number will increase after this year’s draft, and there are many more looking for opportunities. Darron Thomas throws a pass against Oregon State. If a team is placed in Oregon, Athan says there is a great possibility its roster will feature former Ducks and players from other schools in the region. “There will be a draft, so obviously it would be prudent to believe there will be some regional connections. It would make a lot of sense to a football state like Oregon to have local football heroes, should we pursue a franchise in that market,” Athan said. You can read more about Athan’s vision for the league here. He won’t say much about coaches, venues, or a timeline for tryouts and a draft, because he says everything has yet to be determined. 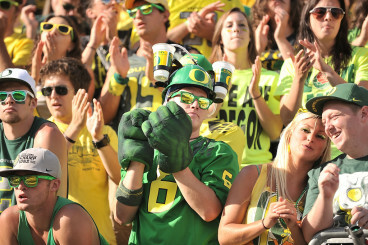 Oregon fans looking for an opportunity to be loud. Four time NFL pro-bowler Wes Chandler will serve as the league’s president. MLFB will also be run by a board of directors with backgrounds in business and football. It’s a combination Athan says will distinguish MLFB from other professional football leagues who have failed to find long lasting success. “Beyond the fact we are a publicly traded company, the difference between our league and others is we have football people running the game on the field, and experienced business professionals taking the lead in all financial and marketing sectors of our overall off the field operations. So with that as our hallmark, I think that’s why Major League Football will be highly successful,” Athan said. 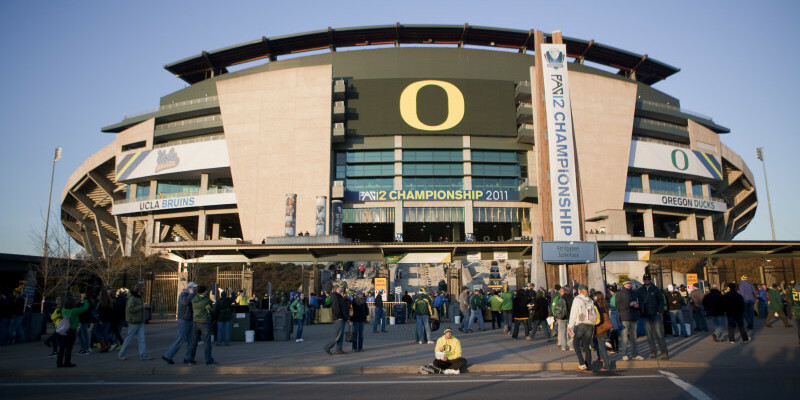 It’s a possibility of a huge success that could lead to opportunity for Oregon football fans and former players to enjoy more Duck football.